Colour by name, colour by nature. 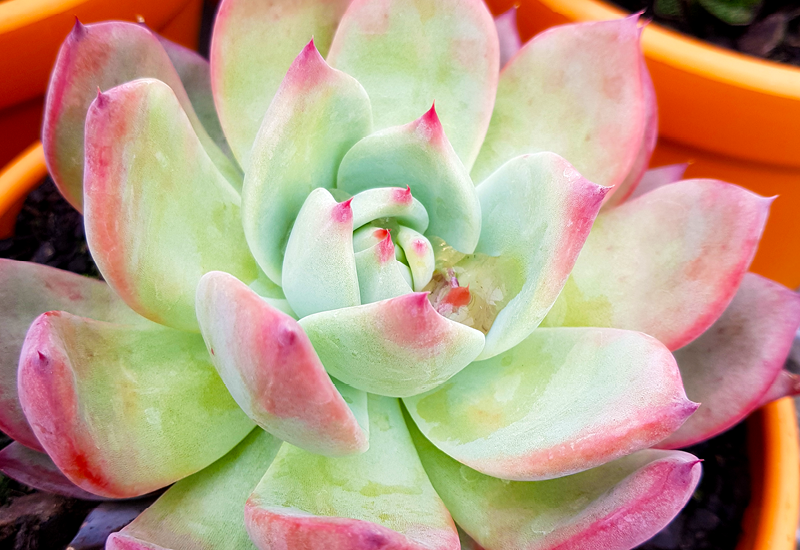 Echeveria Colorata is a true beauty with distinct arching silver leaves and fine pointed edges in magenta. It forms a single rosette, so makes a perfect feature in a medium pot of your choice. During the warmer months, a lovely pale pink flower will appear. Use a good quality succulent mix for best results.